If you suffer from Acid Reflux, you are not alone. More than 60 million Americans experience heartburn at least once a month, and at least 15 million people in the U.S. suffer from the pain of Acid Reflux on a daily basis. The discomfort caused by Acid Reflux can range from mildly annoying to extremely painful. And, worst of all, it keeps us from eating many of the foods that we love. But the good news is that there is a plant based substance – called Fulvic Acid – that can provide you with 100% natural relief for Acid Reflux. What is Fulvic Acid for Natural Relief for Acid Reflux? 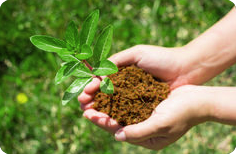 Fulvic Acid is one of the foundational keys to all life on earth. It is derived from Humate deposits in the soil that were formed by millions of years of rich plant decomposition. Fulvic Acid has the ability to readily dissolve and bond minerals and nutritional elements into its unique molecular structure – and then deliver these life giving substances to the body. Fulvic Acid – known as the “miracle molecule” – benefits a wide variety of medical conditions and diseases because of its ability to penetrate and draw minerals into the cells. However, one of Fulvic Acid’s most popular uses is as a 100% natural treatment for Acid Reflux. How Does Fulvic Provide Natural Relief for Acid Reflux? The human body is home to over 200 different enzymes. These enzymes are responsible for over 300 complex reactions in the body – including digestion. A lack of digestive enzymes can overstress the digestive system, leading to the malabsorption of nutrients, bloating, excess gas and painful acid reflux after meals. Fulvic Acid has been shown in scientific studies to stimulate and improve enzymatic reactions in cells –which provides maximum stimulation of enzyme development for a better, natural digestion process. These enzymatic reactions aid in the breakdown of carbohydrates, fats, and proteins for healthy digestion. Additionally, Fulvic Acid reduces inflammation – which is at the root of many gastrointestinal disorders, including acid reflux, GERD, IBS, Crohn’s disease, diverticulitis, gastritis and more. While there are over the counter drugs available to treat acid reflux, these medicines actually block stomach acids from being produced – which are essential for normal digestion and the prevention of an overgrowth of bad bacteria. This does not solve the acid reflux problem, but only temporarily treats it. However, Nature’s Fulvic AR Formula treats the underlying problem – by increasing natural enzyme production – which promotes healthy digestion and natural relief for Acid Reflux. OTC Drugs also pose the risk of side effects ranging from mild to life threatening. Fulvic Acid, however, is a plant based substance found in nature with no known side effects. Side effects of Prilosec (Omeprazole), Prevacid (Lansoprazole) and Nexium (Esomeprazole) include: drowsiness, rapid heartbeat, fever, headaches, joint pain, seizures, constipation – and in extreme cases even pancreatitis and liver failure! Why risk these dangerous side effects when you can obtain 100% natural relief for Acid Reflux with Fulvic Acid? Also, OTC Acid Reflux Drugs cannot be taken with many other medications, including blood thinners, anti-anxiety medications, asthma medicine and heart medication. Always ask your doctor first, but because Fulvic is a 100% plant source naturally occurring substance it is not generally going to interact or interfere with prescription medications. Additionally, OTC drugs can only be taken for limited periods of time. Prilosec, Nexium & Prevacid can only be taken for 14-days, every 4 months. Taking these OTC Drugs beyond this can result in serious illness. However, Fulvic acid can be taken as long as you like as a natural relief for acid reflux – whenever your acid reflux flares up. In fact, taking Fulvic benefits your body in many ways beyond relieving your acid reflux! In addition to providing natural relief from Acid Reflux, Fulvic Acid detoxifies & energizes your body, removes toxins and improves your immune system. Nature’s Fulvic AR Formula offers you 100% natural relief for Acid Reflux. Packed with Fulvic Acid and natural organic plant source minerals, Nature’s Fulvic AR Formula can put an end to bland food – and get you back to eating and drinking the foods and beverages you love! Unlike pharmaceutical drugs with negative side effects, Nature’s Fulvic AR supplies your body with the essentials it needs for proper digestion.